My third book for this year’s Aussie Authors challenge is also Katherine Howell’s third novel, which I only realised recently I had somehow missed on its release in February last year. Of course I had to read it before embarking on her fourth book which has just been released. Tim Pieters’ body was found hidden in bushes not far from his home 19 years ago. His killer was never found. Now his cousin is a Member of Parliament and has enough clout to arrange for the case to be re-opened. Detective Ella Marconi is assigned to the cold case as her first job back at work after being shot. Among the many investigative avenues she takes is the need to track down Georgie Daniels who was Tim’s school classmate and was the one to stumble over his body. She is now a paramedic who has recently undergone some workplace troubles and is being assessed for fitness to work. This is one of the most cleverly plotted novels I have ever read. I had some issues with plotting in this book’s predecessor but here Howell has excelled at creating a complex, taut drama that is also easy to follow. The story is told mainly in two alternating threads from Georgie and Ella’s points of view but when necessary to fill in details no one else could know there are also chapters from other key players’ perspectives, including Tim’s cousin Callum who is responsible for the case being re-opened. The way these threads are woven together is outstanding and the result is a totally gripping novel full of suspense. This is one of those books that genuinely deserves the ‘unputdownable’ label as I read it over the course of a single day/night and only stopped when circumstances positively demanded I do so. A feature of this series is that although the Detective is consistent across the books there is always another lead character who is a different paramedic each time. Howell is a former paramedic herself so brings an authenticity to her depictions of this high-stress workplace which are always fascinating and provide lots of drama. Using a different character each time keeps the series genuinely fresh by having someone other than the Detective lead us through some of the important action. It also gets rid of the credibility problem that can sometimes happen in long running series where awful things keep happening to the same poor sod. Importantly though the characters are always well-drawn, whether they are long-running ones or only to appear in a single book. Ella, who we have come to know over three books, has a near-obsession with work which impacts her personal life in various ways. The characters new to this book, including Georgie and the family of the murdered boy who have all struggled in various ways to come to terms with his death and the lack of closure on the case, are all sensitively described and people whose stories I felt quickly drawn into. I loved the way this book approached the idea of people’s pasts and how they might feel differently about events they witnessed or took part in with the benefit of age and distance. 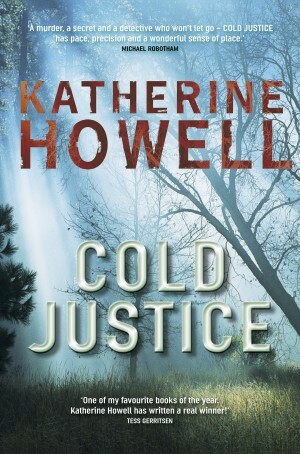 There are multiple characters, major and minor, who Howell uses to explore some variation of this idea and it really does give some insight into how real world cold cases might be solved years after the event even if there isn’t new evidence. In short the book is brilliantly plotted, full of compelling characters and can be just as easily read by people new to the series as it can by existing fans. It’s Howell’s best book to date and is highly recommended to all. I read Howell’s first book, Frantic, in my pre-blog days but have reviewed the second book, The Darkest Hour. 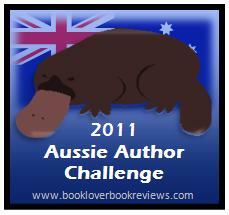 This entry was posted in 2011 Aussie Author Challenge, Australia, book review, Katherine Howell (Aus). Bookmark the permalink. I feel another trip to the Book Depository (or whatever bookseller has this) coming on; that’s the problem with rave reviews! The Book Depository is out of stock on this book, with 138 waiting days for the mass market paperback. Amazon U.S. will have it on July 1. So, as patience is allegedly a virtue, I’ll wait for this book, while haunting the used book blogs. I shall definitely read this one (when available in UK) as I enjoyed the previous one very much, so if this is better than that…..
Great review, Bernadette, you really know how to get a reader of your blog desperate to get hold of the “book du jour”! Bernadette – You’ve sold me. I must get hold of this one. Not only does the story seem terrific (and I understand your point about plotting!) but also, I really respect authors who bring professional expertise in other areas into their writing. This is not nice of you, though. My poor TBR ;-). Hm. Well, I suppose it is a good thing that her earlier books are not as difficult to come by as Vanda´s. I just finished Frantic (the first novel by Katherine Howell) which I thought was terrific, I’m going to make it a priority to read the rest of hers now!